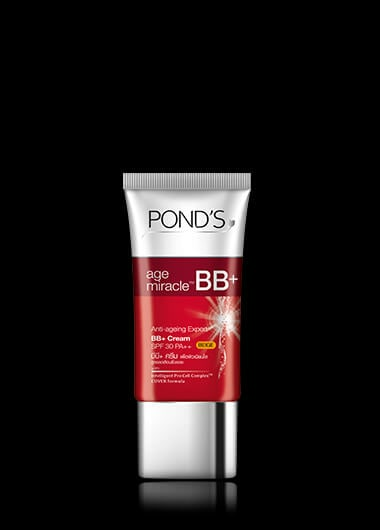 Pond’s Age Miracle Cell ReGen Anti-Aging Expert BB+ Cream is make-up and skincare in one. It has SPF 30++ PA to protect skin from harmful UV rays; and it provides coverage to effectively conceal signs of aging. Available in Light and Beige. The New Pond's Age Miracle Day Cream has Pond's' most advanced anti-aging technology, Retinol-C Complex, to continuously release powerful anti-aging retinoid actives that work 24 hours nonstop to help reduce wrinkles for a youthful glow. The New Pond's Age Miracle Night Cream has the most advance anti-aging technology, Retinol-C Complex, that continuously releases powerful anti-aging retinoid actives that work 24 hour nonstop to help reduce wrinkles for a youthful glow.